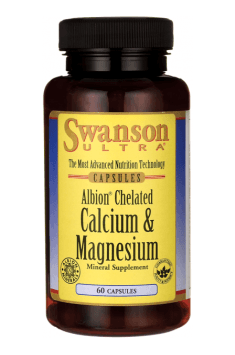 Albion Chelated Magnesium & Calcium 60 caps. In order to increase the absorbability of calcium from the small intestine, it is recommended to additionally supplement vitamins D3 and K2. Research shows that an additive of vitamin B6 to the supplementation with magnesium increases its assimilability at the level of 40%.